The Careers Day at Digital Shoreditch brings together leading employers from across the digital industry and a packed programme of events to turbo-charge your job-hunt. Please note: space is limited for mentoring/workshop sessions and will be allocated on a per-person basis. Please use the booking forms below to apply for each session. 10am - 5pm: Careers Day fair, explore the fair, chat to some of the exhibitors, chill out in the networking lounge, watch some presentations on the stage etc etc. 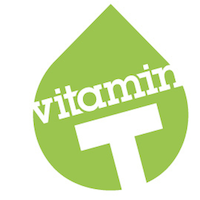 The Vitamin T portfolio reviews gives you access to senior creatives from leading agencies including OgilvyOne, Poke, LBi, Sapient Nitro, Weapon7, Imagination, Essence, Native Design, Scoop and Spoon, to name but a few. It’s an exciting chance to get face-time with some of the industry’s finest so make sure you don’t miss out! Sign up for Careers Day and select the option to apply for a 'Portfolio Review'. A chance for you to get one-on-one feedback from a professional in the sector on your CV, social media approaches and job hunting skills. is for all you grads out there that are looking for a helping hand on getting that jump start into the digital world. is for those who have started their career but need some advice in moving positions, changing roles and moving up that job ladder. CV Surgery mentors include representatives from Chinwag Jobs,Ogilvy , Vitamin T and Milkround. There are a limited number of spaces for the CV surgery session so make sure you apply now. Join Hyper Island students in a 45 minute workshop where we experiment with mashing up different ways of being creative and generating ideas. Building on the work of others and crowd sourcing ideas we will co-create the school of the future. You will hear from students and industry about how co creation and collaboration are two keys attributes of working in digital and creative businesses. If you have a question, please head over to our FAQ's page for answers to our most common questions.